Your home’s location is a major factor in deck design, since each geographical area influences its own style. Home improvement experts have also created many designs for you to choose from. A deck can bridge the gap between your indoor and outdoor spaces in a beautiful way. It provides an inviting, comfortable space from which to enjoy your yard. 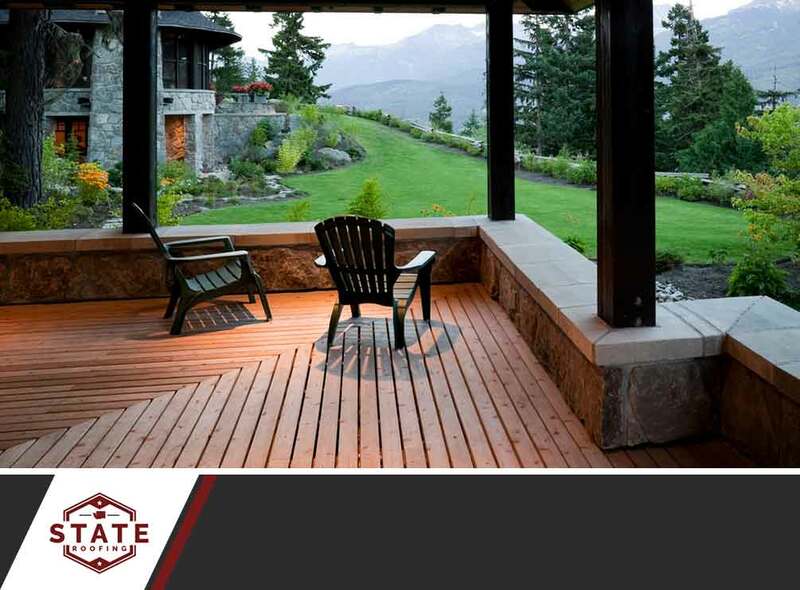 Our deck experts can customize your deck to fit your house and lifestyle. Keep these tips in mind to make deck designing as easy as can be. Can a deck enhance your life? What will you use it for? Will you host a lot of parties or do you prefer intimate gatherings and dining areas? If you love to grill, go for an outdoor kitchen and grill area. It’s nice to have a fire pit to encourage conversation or a hot tub to soak in. Consider your lifestyle and ask the opinion of family members about your future deck. Decks should allow enough space for the activities you enjoy. They should have comfortable traffic pathways and not be too confined. Think of your deck as having specific “rooms” for dining, lounging, cooking and mingling. Ensure ample room for chairs around a dining table. Leave enough room for small end tables or a coffee table next to lounge furniture and potted plants. Do you love interacting with guests as you cook and grill? A counter and cooking appliances are a must in your outdoor kitchen. Include an eating counter with seating near the cooking area. That way, people can snack, sample and tell stories while you cook. You may also want to consider making a small alcove off to the side, with enough room for a grill. You can trust State Roofing with your roofing and deck needs. Ask us about how we can design the perfect deck for your home! We serve residents of Seattle, WA, and nearby areas. Call us at (360) 205-3100.